A circular saw is a great investment, especially if you’re someone that wants to learn how to do repairs. Anyone interested in how to find a great saw like this will be interested in the information here. We’ve looked at many brands and types, below we’ve addded our top 5, check them out! Our Best 5 Circular Saws of 2018! Dewalt has a reputation for making terrific tools, and their latest lightweight circular saw — the DWE575SB — is no exception. It packs plenty of power and smooth performance into a lightweight package, one which even includes an impressive electric break. Take a closer look at the Dewalt DWE575SB if you’re in the market for a new circular saw; there’s a reason this saw has become one of the most popular on the market today. With a total weight that clocks in at just 8.8 pounds, the DWE575SB is perfect for long-haul jobs that require lots of sawing. (To go any lighter than this, you’d have to sacrifice power.) Fatigue is a thing of the past, and you still get all of Dewalt’s legendary reliability and power. Unless this is the very start of your circular saw shopping experience, you’ve already discovered that there are an enormous number of different options out there for you. If you haven’t already given the Makita 5007F some serious consideration, now is the time to take a closer look. This is a superb light-duty saw. It’s better suited to occasional repair jobs than all-day commercial work, so this model makes a better fit with homeowners than professional contractors. The only real shortcoming to the 5007F is its rather dull blade. This is always a disappointing feature to see in a circular saw. On the other hand, as long as you don’t intend to spend hours at a time using the Makita 5007F continuously, it should serve quite well. A cordless circular saw is one of the handiest tools to have around the workshop, but not every user has the money to sink into a heavy-duty model. The Dewalt DC390B makes an excellent lightweight saw for basic cutting work, and it’s a welcome addition to any handyman’s tool kit. This 18 V saw features a 6.5 inch blade spinning at 3,700 RPM, allowing it to deliver powerful, fast cuts whenever they’re needed. It can cut to a depth of 2.55 inches (when used at 90 degrees) or 1.9 inches (when used at a 45-degree angle). The saw can be set for bevel angles of up to 50 degrees, adding to its versatility. Unlike some high-powered circular saws, the DC390B is a virtual featherweight, tipping the scales at a petite 6.3 pounds. That translates into easier handling and less tiresome work when it’s used on big projects. Even though do-it-yourself work has always been a major part of the power tool market, nobody has thought to design a circular saw specifically for the DIY set until now. The new SKILSAW 5680-02 circular saw is loaded with great features a DIYer is sure to appreciate, including an integrated laser level, safety locks, an extended foot plate, and a 51 degree bevel. This beefy 2.5 horsepower saw weighs in at 13 pounds, which is a significant reduction from previous SKILSAW models. (It’s also slightly smaller, at just 7-1/4 inches in length.) That translates into greater maneuverability without sacrificing any power. That’s a challenging task for any tool manufacturer, but SKILSAW was up for the job. The heart of the SKILSAW 5680-02 is its 2.5 horsepower, 15 amp motor. It provides more than enough power to handle any imaginable type of wood. Thanks to the saw’s extended footplate, it’s actually more stable than a lot of bigger saws. You have a lot of different options in front of you when you start looking for a good circular saw. Different brands carry different connotations, and it can be hard to choose one over the other. There’s also the question of style — will your needs be better met by a corded saw or a battery-powered one? Which features are absolutely essential to you? Which models give you the best value for your money? Any smart consumer should ask questions like this before picking out a circular saw. Doing your consumer homework can be a little bit of a pain, but it’s worth it if the process leads you to the perfect saw that meets all of your needs at a great price. With all of that in mind, take a look at this factual, in-depth review of the Bosch CS5. This corded circular saw just might fit your budget and deliver all of the sawing power you need. There are many options to consider when you’re trying to get a circular saw and you have to make sure you spend your money wisely by using this advice. Select a saw design so you can narrow down what your options are. There are three main ones that you can look for. Read the description of each of these and then you can decide which kind is going to make the most sense for you to invest in. 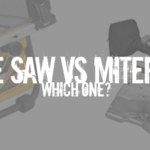 You may even determine that more than one saw type is what you need! The trim saw’s blade has a diameter of 3-1/2” to 4-1/2” and it weighs between 4 and 7 lbs for the most part. This kind of a saw isn’t as popular as the other two kinds and that’s because they are generally used for tasks that aren’t that big. They don’t weigh a lot so you can easily control them when they are being used. Generally you’ll find that they come in handy when doing finish work for a carpentry project or if you have to cut through materials that are fairly thin. Your worm-drive type of saw will have a blade with a diameter of 6-1/2” to 8-1/2” and weighs from 12 13 to 15 lbs generally. This type of saw get its name from the drive system that’s inside the saw because it’s in a spiral shape. This saw is made to be powerful and its shape allows for it to do plunge cuts in a more easy manner. Since it’s a heavy saw it’s good to work with when you have sawhorse projects to work on instead of those that require you to hold onto the saw as you work. A sidewinder saw will usually have a blade from 5” to 10” or more in diameter and it can weigh from 6 to 10 lbs. This isn’t like the above saw where the motor is hidden behind the blade. Instead, it’s located to the side on the right of left of its blade. The location of the blade is important depending on which hand you’re comfortable using. For instance, right handed users will want to make sure the motor is located on the left side so that when they are cutting something they don’t have their view blocked. These saws are good for those wishing to use a lighter saw and they are great at cutting through materials like plywood or concrete. Do You Need A Cordless Saw? You can find cordless trim and sidewinder styled saws, but none of the worm-drive types are not capable of being cordless. While it may seem like without a cord you’d be better off, consider that options without cords generally don’t have as much torque behind their cutting power when compared to their corded counterparts. Plus, if you’re working on a big project you’ll have to get spare batteries or have to keep waiting for batteries to get recharged. Cordless saws are great for those that need to do quite a few small projects, but big projects that will take a long time will call for the corded option. This is something that can be added to a saw so that there is a line projected onto a material that’s about to be cut so that you can be more accurate. 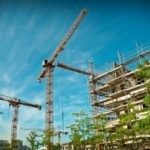 When you have a base that’s made of reinforced steel or cast metal, it will resist bending quite a bit more than an aluminum or other weaker base. If your saw has a handle that has a cushioned grip you can use it for a longer time because it will be more comfortable. You can use a light for help when you need to see what you are doing better, especially if you’re working in an area with limited lighting. This can be used so that you can get dust out of the way as you make your cuts causing you to be able to better see a project. The user can use this to tilt their saw’s base so they can cut at an angle. This lets you have more control so you can be more accurate and efficient when you have to cut something parallel to the edge on a piece you’re working on. If your saw has these, you can make sure it stops if something goes wrong and you release the trigger for whatever reason. Usually it takes a while for a saw to lose momentum, but with brakes like this the current going into the saw is reversed. When this happens it takes as little as 2 seconds for it to come to a complete stop. You can easily get a saw new and be happy with it, but you should also consider getting one used if you’re on a budget. There are many places that sell used tools like this, but you have to make sure you know how to look over and test equipment that is used. There are also policies to look for so you know if you can make a return. One way to buy a saw for a great price is to look at online classifieds where people set a price and then you can go meet them to pick it up if you have the cash. Generally you can negotiate and it’s a good idea to do so because people will set prices a little high since they expect this to happen. If you are going to go meet up with a stranger from a site like this make sure you do so in a public place. Generally you’ll be safe but you don’t want anything bad to happen which is less likely to be the case out in a parking lot at a busy shopping center or any public place with plenty of traffic. Sometimes you will find that there are great deals online through auction websites. The key here is to make sure that the seller has a return option available just in case you get the saw in the mail and it doesn’t work or gets damaged if it isn’t packaged in the right way. Always look closely at all pictures of a saw and don’t bid on anything with only stock photos or from someone brand new to selling just to be safe. When Should A Circular Saw Be Replaced? Sometimes you’re going to have to get your old saw replaced after it starts to malfunction. It is never a good idea to keep using a saw for too long if it keeps breaking down or if the blade is becoming dull too quickly. Before you try to troubleshoot a saw you’re going to want to make sure it has no power going to it. If you end up triggering the saw to start spinning or if something is clogged and you remove it that may cause it to start working which is dangerous. Look to see if any vents on it are clogged or if any of the parts seem to be jammed. Look over the power cord to check for damages and see if you have a fuse button that’s popped out. Contact someone that can repair equipment like this if you’re not able to figure out what to do to fix your saw. Never try to do any repairs if you’re not sure of what they entail. If you try to make a repair and then try to use your saw it could lead to you getting harmed. Only work with those that are trained in repairs so that you know it will be safe to use the saw after they are finished. If you do get your circular saw repaired and it keeps having issues, you’ll probably be best off just replacing it. 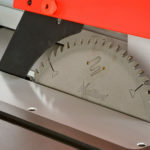 Like anything else with moving parts, eventually the saw will wear out and it will become much more expensive to keep it working than it would be to bite the bullet and purchase a newer model. You can always sell the older saw’s parts for money, or you can keep it around so you have spare parts in case you need them to use on your new saw. If you’re going to be using your circular saw for anything, it has to have the right kinds of blades for the project. Are you aware of what it takes to get great saw blades for the right price? If not, then here are the great tips that can get you ahead. There are different components you have to know about when it comes to a blade for a circular saw. The tip is what bites into the material you’re working on and the shoulders on the tips allow for them to be supported. Then you have the gullets that are able to remove material more and more as they pass. Then you have expansion slots that are going to keep your blade from warping as it changes size when it’s being used. That will lead to less in the way of vibrations and a cut that is straighter. You will find that there are different blade types that service different purposes. Here are a few different blade types you can find when you are out shopping for a blade that you can use on a project you have to get done. When you want to save money and cut softer woods this is the way to go. Steel blades don’t cost a lot but they do dull fast when you have to cut harder woods and that can make them expensive since replacement costs ads up. These have tips that are made of carbide and that makes them cost a little more. These are great for you to use if you need something that lasts longer than steel and that can do more work for you. These blades are a lot harder than a regular steel blade and can remain sharp for a longer time. These are much better to invest in than a steel blade if you have harder materials or just a lot that you need to cut. An abrasive blade is made of a rougher material that can be used to cut through concrete, glass, or ceramic tile. This makes your saw capable of helping with a wider variety of projects so it’s nice to have these blades on hand. Blades that have teeth tipped with diamonds can help with cutting brick, concrete, cinder blocks, and other forms of materials used in masonry. If you notice that at any time your blade starts to become dull and you’re having trouble with cutting, you need to cease use and get a replacement. When you use a blade that’s right for the job, it will make it work out better for you and that way you’re not having to replace it a lot of times before you get the project done. There are even more blade types out there so be sure if you have a specialty project of some kind you ask the people at your local hardware store what else they offer. Make use of the Internet. Read reviews and testimonials from people who have used circular saws for various reasons and identify one that matches your needs. Reviews provide you with detailed information regarding all types of circular saws, their features and the jobs that each circular saw performs best. Asking your relatives, friends or workmates about the best circular saw they ever used is a perfect way of finding the best saw for your needs. This way, you can get a genuine opinion and save a lot of time at the same time. After you have done your research, to make sure that you buy a circular saw that is right for you, kindly take the following factors into consideration. 1. The style of the saw. Namely, there are two types/styles of circular saws. The Worm-Drive and the Sidewinder circular saw. 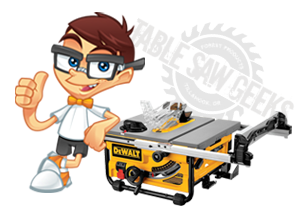 Warm-Drive saws are very popular among carpenters since they are best suited for cutting through plywood and studs. Warm-Drive circular saws are also suitable for heavy duty tasks since they also cut through concrete and wet lumber. Sidewinder saws, on the other hand, are more compact, light and are mostly used for various woodcutting tasks. 2. Corded or cordless circular saw. Circular saws, whether they are Worm-Drive saws or Sidewinder saws, are either corded or cordless. Cordless saws are easily portable since they are battery driven and are also light to carry around with ease but have a limited run time. On the other hand, corded circular saws have an unlimited run time but are quite heavy and cannot be moved away from the power source. Always consider if the circular saw you want to consider has extra features. The level of your skill at handling a circular saw should dictate the type of features of the saw. If you are well skilled, choose a saw that has extra features. Beginners should always choose a saw that is easy to handle and does not have many complicated features. 4. Safety measures, speed and control. When buying a circular saw, your safety should be the priority. The best choice would be to buy a circular saw that has the best safety measures. However, factors such as speed and control of the saw also play an important role. Speed saves your time while good control makes it easy to operate the saw.